New York/San Francisco-based content creation/production company BODEGA served as the agency and production company on a content campaign for NYC-based nonprofit Trickle Up which works with the world’s poorest and most vulnerable people to help them achieve financial independence and social connection, advancing their economic and social well-being. Continuing a multi-year collaboration that has filmed stories in India, Africa, and Guatemala, director/creative director Mark Littman led the BODEGA team to indigenous Mayan villages in the Yucatan Peninsula to record authentic stories in the voices of the Trickle Up’s participants and local partners. BODEGA created four original films, which launched at Trickle Up’s Annual Gala on Monday, April 16, 2018 in NYC, giving attendees an inspiring look at the organization’s impact, while being clear that there is much more work to do. 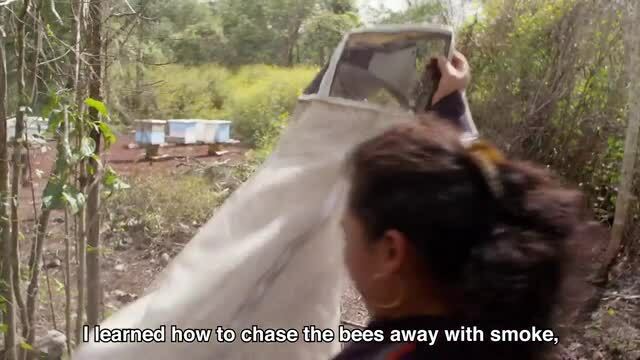 Among those films is Wilma which features Wilma Santiago who learns the craft of beekeeping, leading to the creation of her own honey-production business. Not only is Wilma’s a story of empowerment and financial independence-- at the end of the piece, you might expect to find her honey at your local gourmet store. Since 1979, Trickle Up has helped 335,000 women gain the skills and confidence to achieve greater economic self-sufficiency. When women succeed, so can their children and families. Since on average, five people benefit for each woman reached, they’ve helped over 1.5 million people total. In the next five years, Trickle Up is committed to helping the next million graduate out of extreme poverty.